Sprezz is a brand we discovered that's doing all kinds of beautifully designed shirts for men. From crisp, solid coloured shirts to fun, quirky prints, they've got something here for everyone. Sprezz is doing comfortable shirts with all kinds of gorgeous prints using soft, breathable cotton. With a variety of designs and colours, what stands out here are their quirky, fun prints. While checks and stripes are great, it's nice to see more and more brands getting creative with their clothing. They've got stuff like lemon, pineapple, dolphin, and citrus prints. They also have block-colour printing, delicate florals, basically workwear and stuff you can wear to a fancy brunch too. Unlike a lot of brands, their shirts don't shrink when you put them for a wash. They pre-wash their shirts with skin-friendly and eco-friendly enzymes, which takes care of any shrinkage or colour bleeding and also adds softness to it. They're priced between INR 1,500 to INR 3,000, which some might say is pretty decent for a good shirt. 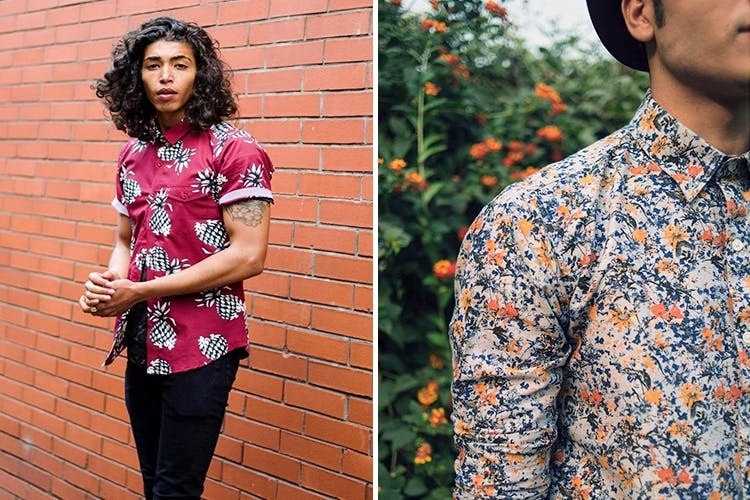 We'd like to see more colour-blocked shirts in their collection. If you know someone who loves that kinda stuff, they'll make a great gift for them.